In the old hair transplant techniques, the used procedure involved surgical intervention using surgical tools. It involved cutting a part of the scalp that contains hair follicles, then closing the area by suturing. On the other hand, follicles extraction does not involve those painful steps, whereas one follicle at a time is extracted using needles ranging between 0.7 mm and 1 mm, depending on the follicle's diameter, which is estimated by the professional medical staff at Clinicana Hair Transplant Center in Istanbul. There are no cuts that need to be closed after the procedure; therefore, most of the hospitals and trusted medical centers around the world, including Clinicana Center, consider the extraction method more safe compared to the traditional methods, which is a great advantage. In addition to the fact that extraction method is less harmful, it does not cause a linear scar in the scalp caused by implanting hair follicles in the old techniques. Therefore, there would be no scars in the patient's head that may force him to have a long hair to cover them. Many hair transplant experts agree that the nature of hair transplant using extraction method, which is more safe, lead to faster healing and recovery period compared to the traditional methods. The extraction technique causes less pain and discomfort in the donor area since there is no need to close the cuts, no surgical suture, and no increasing pressure in the donor area during recovery. In general, patients who undergo hair transplant using the extraction method sleep better after the procedure, and they go back to work, normal life and daily activities faster. This includes exercise and weight lifting, which are forbidden for more than 3 months after having the procedure in the traditional methods. The extraction method allows extracting hair follicles from large various areas in the scalp and body. This includes extracting follicles from various areas in the scalp, back of the head between the ears, upper neck and beard where there is a vital hair donor area. Extracting hair follicles from parts of the body other than the scalp with extraction method, and implanting them in the scalp is referred to as body hair transplant. Although the life cycle of body hair follicles is different from that of scalp hair follicles, this method may be useful for reform procedures and significantly increases the number of follicles available for hair transplant procedure. Hair transplant using the extraction method allows doctors to choose the optimal hair follicles for implanting. This involves identifying, isolating and choosing single hair follicles to implant them in the hairline area, which is important for the general appearance, and choosing thicker and stronger hair follicles to implant them in other areas in the scalp where necessary. On the other hand, in the traditional methods doctors had to use the follicles they get without being able to choose, thus sometimes they have to remove hair from the double, triple and quadripartite hair follicles to get single hair follicles to implant them in the hairline for a natural appearance. Moreover, they should assemble single hair follicles together (often referred to as "combine") to enhance the appearance of additional density. Since hair transplant, using the extraction method is generally less harmful, easier and faster than traditional methods, it is often optimal for small and precise cases. For instance, the extraction method is optimally suitable for younger hair transplant patients who need a small amount of grafts and don't want to get a linear scar like the one caused by the old method of hair transplant. In addition, choosing hair follicles is perfectly suitable for precise procedures like reconstructing the eyebrow, as it is possible to extract a few selected grafts (i.e. single follicles) with the least possible scars. There are no side effects for this procedure, but if the patients does not commit to the instructions, some side effects may occur. Smoking is not allowed one week before the procedure and one week after it, if the client does not commit to that, hematoma, small patches under the skin with dark red color, where hair does not grow, may occur. Therefore, the medical team at Clinicana Hair Transplant Center in Istanbul emphasizes that clients should commit to the instructions and avoid smoking before and after the procedure to guarantee getting the best result. Swelling or edema: Clients are advised to rest completely after the hair transplant procedure done in Turkey. Sometimes people exert some effort after the procedure, causing swelling or edema in the headline and under the eyes. This is because fluids injected during the procedure go down to the facial area; this swelling lasts for one week then disappears. Therefore, the medical team at Clinicana Hair Transplant Center in Istanbul emphasizes the importance of resting after the procedure to avoid the swelling. It is worthwhile mentioning that if the client commits to resting and not exerting any effort, no swelling or edema will happen. 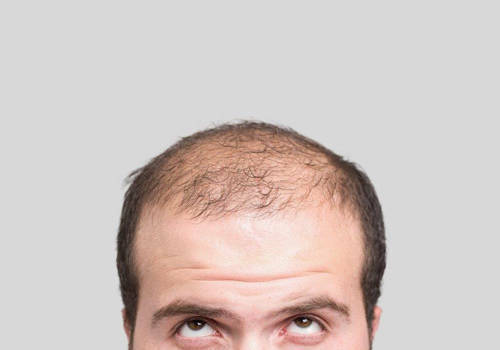 Itching: Sometimes the client feels itching in the donor area after the hair transplant procedure, which may last for a few days and it is a normal minor side effect. This condition may be managed using medical creams and the itching would go. Redness: Redness appears in the donor area and receptor area and goes away automatically within 10 days. Numbness: Numbness is not feeling the implanted area and the donor area due to the anesthesia applied on these areas during the procedure, and it lasts until the anesthesia effect goes away, i.e. after two weeks for the donor area, and after one month to 3 months in the implanted area. Some clients in Clinicana ask the following question: Does hair transplant procedure in Turkey cause cancer or increase the risk of cancer? Some people circulate many rumors and wrong information that have no scientific or medical basis on social media and forums. Hair transplant has nothing to do with cancer at all, at Clinicana Hair Transplant Center in Istanbul we encourage clients everywhere not to listen to such information with no scientific or medical basis.